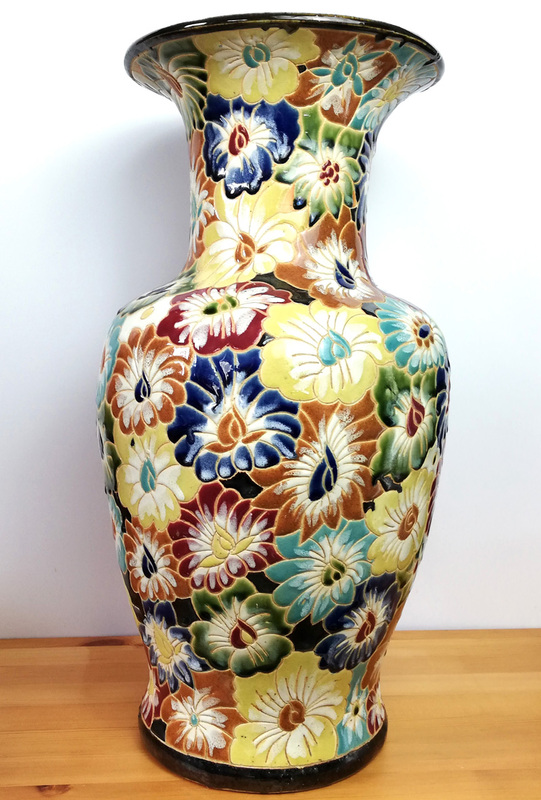 I bought this vase at an auction because I like it, it's quite something. 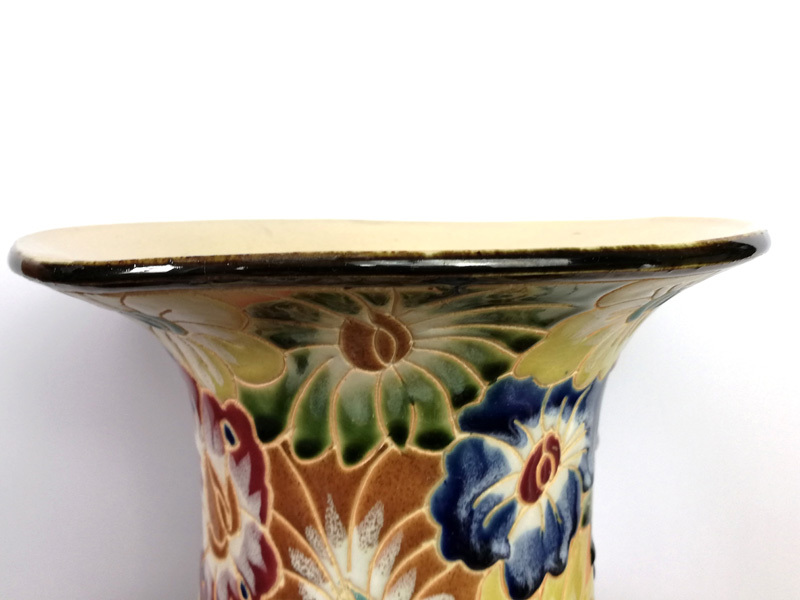 It's 50cm tall and aprox 22-23cm in diameter. Someone (for a joke?) 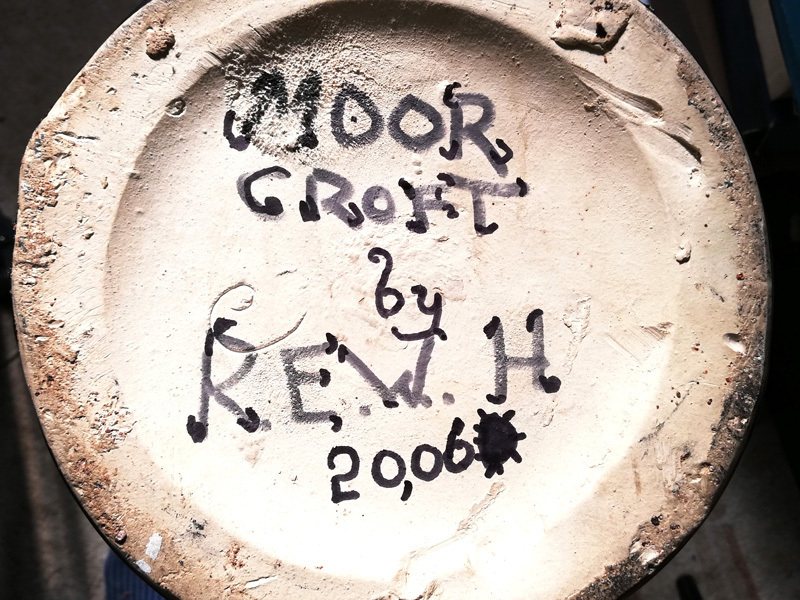 has written Moor Croft R.E.W. H. 2006 on the bottom over what appears to be a curly C. It does not have a high quality finish in my opinion and has a very rough bit around the foot. It seems to be scraffitto and glaze and is absolutely covered in flower blossoms. 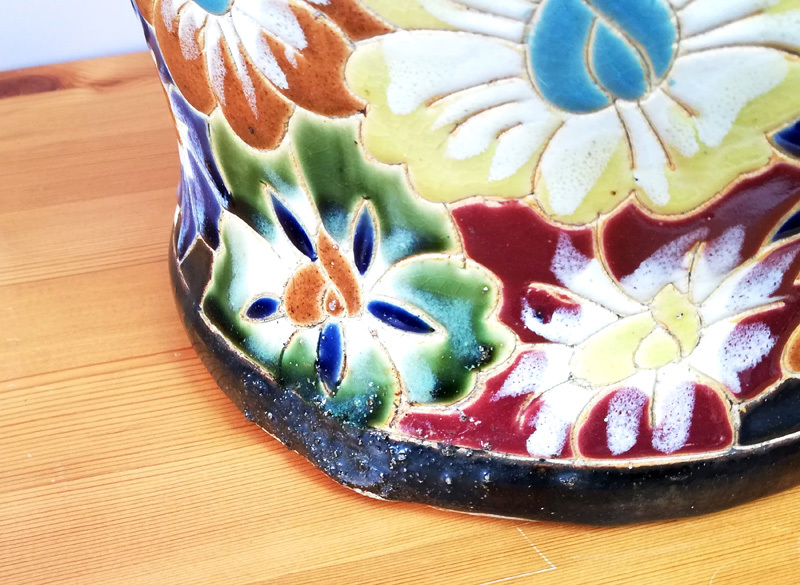 It has a small crack in the lip but I don't care because I like it :) I suspect it's a modern oriental vase but I appeal for help in identifying it. I did not pay much for it. Thank you that seems to be an excellent call.